Within the past few years smartphone companies have worked a lot on designs and features, we have witnessed some mind blowing designs and features that didn’t seem to exist but with the growing competition we the customers are sure to benefit a lot, there are some pretty big leaks and announcements and we just can’t wait to see them to be true. Without further a-do lets just jump on to those upcoming phones. No doubt big brands are trying their best to derive more sales, attracting customers by the design, features or the price. But the likes of Xiaomi and Micromax have mostly taken up the 5000-15000 budget market, by launching some exceptional phones. Though some new brands have recently hit the market and they are sure taking it by storm, brands like Meizu will definitely come out to be a smartphone supergiant in the upcoming years. Have a look at promo codes for ebay India and get discounts. Xiaomi Redmi 3 Pro: Talk about budget smartphone and there you have it, Xiaomi has successfully managed to attract the likes of Indian customers by launching cheap but stylish smartphones loaded with features. The Redmi 3 Pro, is said to feature a massive 3 GB RAM along with 32 GB internal storage capacity with a 1.5 Ghz quad core processor. A 13MP camera and 5 inch screen will sure create some buzz in the market. This phone will be offered at just Rs 9999. Xiaomi Redmi Note 2 Prime: Another feature phone to be launched by the company, this is more of a phablet as the screen size is 5.5 inches. The phone will sport a 2GB RAM alongside a 32 GB internal memory under the price tag of Rs 10000, this phablet will also offer a 13MP camera. Micromax Yu Yu5200: There are too many “YUs” in this phone which is in-fact quite thoughtful as the phone is made for you, with 3 GB RAM and 16 GB internal memory, Micromax is all set to amaze you by launching this phone at Rs 9000 alongside a 13 MP camera and 1.7 Ghz quad core processor. Samsung Galaxy J1: Samsung is also making sure that it leaves no price segment behind, this phone by Samsung will be launched at Rs 9000 and will 8 GB inbuilt memory and 1 GB RAM a 5MP camera will sport the phone. Thought these features seem to be on the lower side, but the company might pull these off because of its brand value. 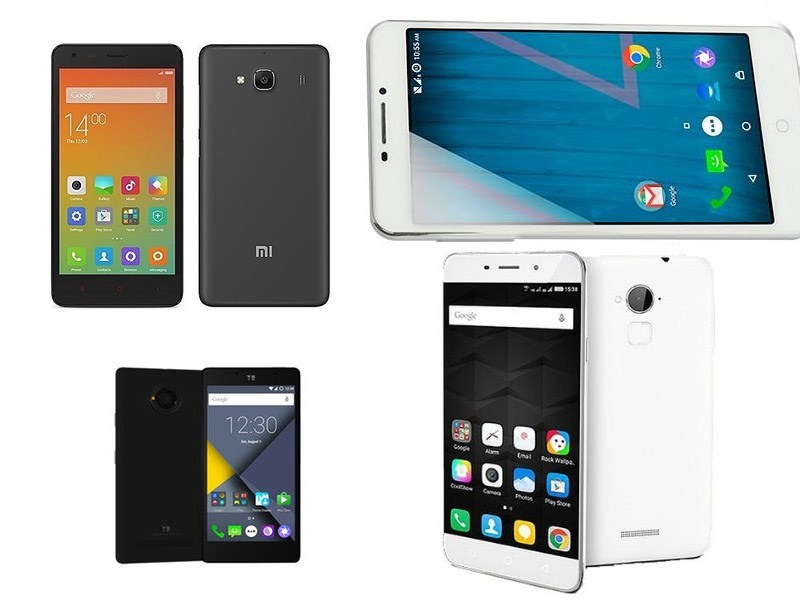 Most of the above mentioned phones are sold online either by an authorized e-commerce store or a general sale created by company. Though these phones are already below Rs 10000, but still if you want to save some more cash you can use shopclues discount coupons these will reduce the cost to a further extent.